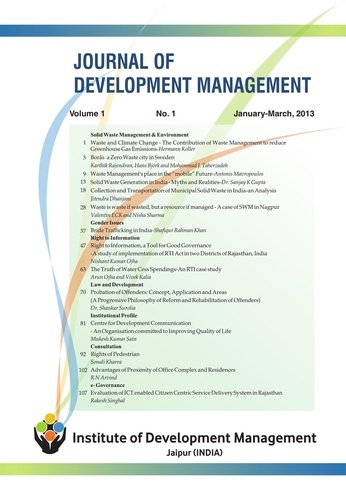 The Institute of Development Management (Jaipur, Rajasthan) launched a quarterly Journal in January 2013 with the objective of presenting critical views on developmental issues. 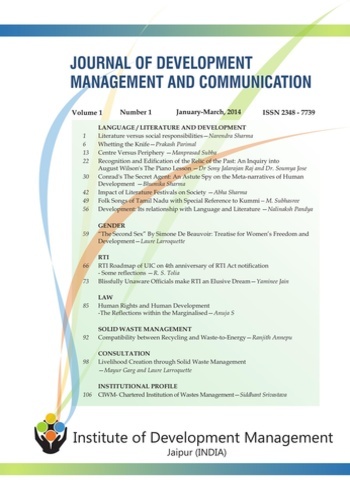 The Journal of Development Management (ISSN 2321-0761 Print) can also be read online (ISSN 2347-6303). 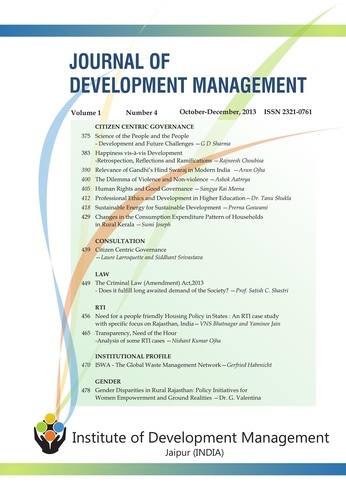 In addition to the main theme of each issue of the Journal, we take regular features on Gender, RTI, Law and Institutional profiles etc.